Port operator APM Terminals Bahrain plans to raise around BHD12m ($32m) through its planned initial public offering (IPO). This is the first IPO for a transport and logistics company in the Kingdom to list on the Bahrain Bourse. The listing forms part of the contractual agreement made when the port opened in 2009. APM Terminals Bahrain will offer 18 million shares, equivalent to 20 per cent of its issued share capital, at BHD0.66 per share. The net proceeds will be paid to its current shareholders pro-rata based on their shareholding. 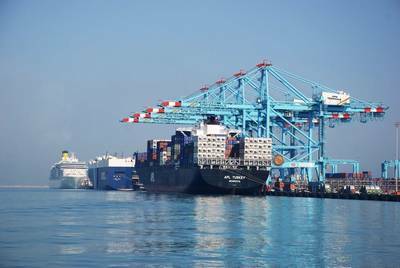 APM Terminals currently holds 80% of the shares and the remaining 20% of shares are held by YBA Kanoo Holdings of Bahrain, a leading diversified regional business group. The offering will start on November 8 and will remain open until November 24. Given the strong investor appetite the company wanted to ensure that retail investors (i.e., those applying for less than 100,000 shares) have equal access to the market opportunity by allocating 30% of the shares to retail investors. Furthermore, retail investors will have a priority allocation for the first 15,000 shares applied for. APM Terminals Bahrain has an exclusive 25-year concession from the Bahrain Government to manage and operate Khalifa Bin Salman Port (KBSP). The concession, which commenced on 1 April 2009, is renewable with mutual consent of the company and the Bahrain Government.